This is an older exclusive article for FinFeed subscribers which is now opened up. If you'd like to see new exclusive articles every week, please subscribe to our newsletter. Well, this has been a week of firsts. On the same day the Leaning Tower of Pisa was said to be straightening itself up, ASIC Chief James Shipton vowed to take the big four banks to court more often. Who would have thought that either of those things could, or even would, happen? Buffett warned us about a severe decline in the value of Bitcoin. He warned that unlike buying stocks, bonds or real estate, buying bitcoin is not an investment. "If you buy something like bitcoin or some cryptocurrency, you don't have anything that is producing anything," Buffett said in an interview with Yahoo Finance. "You're just hoping the next guy pays more. And you only feel you'll find the next guy to pay more if he thinks he's going to find someone that's going to pay more. "You aren't investing when you do that, you're speculating." On the anniversary of its 10th birthday, Bitcoin’s 10th year has seen a spectacular decline in its value – almost 80% since last December. Almost $965 billion since January 2018. It seems now as if Bitcoin was no more than a get rich quick scheme (for those who got in early), not the great disruptor of financial markets it was touted to be. There was a fastcompany.com article back in March that asked the question: Is the cryptocurrency just going to end up reenforcing the financial system it was supposed to disrupt? It was an article that seemed to be on the money when author Douglas Rushkoff pointed out that: Bitcoin was intended to break the monopoly of the banking system over central currency and credit. But, in the end, it will turn into just another platform for the big banks to do the same old extraction they always have. The driver behind Bitcoin – Blockchain – is already becoming an instrument of the financial services industry. Banks no longer see blockchain as the enemy at the gate, but as a technology to embrace to improve its services. For instance, of the 26 publicly listed banks in China, 12 have already adopted blockchain technology. These banks include Bank of China, China Construction Bank and the Agriculture Bank of China. Add the privately owned China Merchants bank to the list as well. 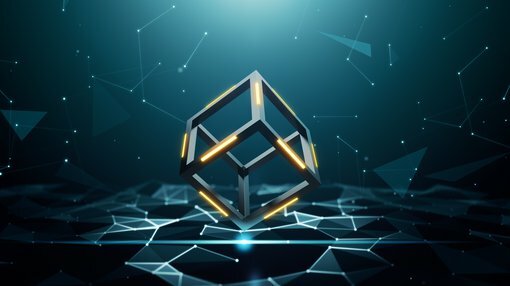 This article gives you a comprehensive list of all banks that have adopted blockchain technology. Here’s another article outlining five ways banks are using blockchain. In a nutshell, we are looking at clearing and settlement facilities, payments, trade finance, identity checks and syndicated loans. The finance sector has wholly embraced blockchain, so where does that leave Bitcoin?